12 Duties of a Helper: What Do Executors, Trustees, Guardians and Powers of Attorney Really Do? Every estate plan needs a good helper(s). Choosing those helpers can be tough. Your trustee, guardian, power of attorney or executor will be responsible for making decisions when you become disabled (like from a stroke or dementia) or pass away. But what exactly are they responsible for? Your helper(s) will take on many financial, legal and managerial responsibilities on your behalf. It is especially important to choose a helper that you trust to manage your finances, as this will become a majority of their responsibility. A great way to decide if you have chosen the best helper is to look at how they currently manage their own life. How does it make you feel to envision your helper stepping in and managing your life right now? If it makes you nervous, perhaps it is best to reconsider whom you have chosen. We are here to help you through the difficult decision-making process of choosing a trustee, executor, power of attorney or guardian. We guide people through this process all the time helping them know what they should consider when making this very important decision. We have been through this with many families before, whereas the average family has only been involved in this process once, maybe twice. Let our experience guide you to peace of mind when it comes to choosing the right helper for your estate plan. Learn more by reading “7 Types of Helpers to Watch Out For” here. Or check out “3 Myths About Choosing a Helper for Your Plan” to find out some common misconceptions about who you should choose. http://edwardsgroupllc.com/wp-content/uploads/2012/01/MotherDaughter.jpg 286 419 edwardsadmin http://edwardsgroupllc.com/wp-content/uploads/2014/02/USE-Logo-estate-planning-280x100.png edwardsadmin2017-03-15 17:22:292017-05-15 14:03:5612 Duties of a Helper: What Do Executors, Trustees, Guardians and Powers of Attorney Really Do? We’ve talked previously about what a “helper” is and why it’s so important to not only choose one, but choose a good one. Whether it’s as a trustee, executor, power of attorney or guardian, it’s very important that you choose someone who is up to the task. While it is historically conventional to name your oldest child as a “helper” in estate planning, we challenge that convention when it’s not the best choice. If your oldest child is not your most responsible child, or if your oldest child has extenuating circumstances in their life (like a special needs child) that would prevent them from carrying out the duties of a helper, then it is perfectly acceptable to choose a child other than your firstborn. In an effort to be “fair,” many people think that naming their kids as co-executors is a good idea. David generally does not recommend this option. Read here to find out why. This may seem like the easiest option, but it is generally the worst option for your children. The stress and aftermath of a parent’s death is easily one of the hardest times in life. By leaving all of the hard decisions to your kids, you’re heaping an unbelievable amount of extra stress and pressure on them. Good families are destroyed by bad estate planning. We see it everyday. So what factors should you consider when choosing a helper? Read this article, Every Estate Plan Needs a Good Helper to find out. Also, check out “12 Duties of a Helper” to learn more about what exactly executors, trustees, guardians and powers of attorney do. And if you need help making this decision, that’s part of our unique approach to planning – we walk our clients through the process, helping them think of every detail. Give us a call today at 217-726-9200 or attend one of our upcoming workshops. The following quiz helps you identify weak spots in your estate planning. For many people an estate plan just means a will, but oftentimes that is not enough to accomplish the goals you have or to protect your loved ones. Honestly answering these 8 questions will help you know if your plan needs more work. Who would manage your finances if you had a stroke? Is your legal and financial information organized and easy to find? Do you know whether you will owe estate taxes? If you have an IRA or Annuity, do you know when (or if) your family will have to pay taxes on it? If something happened to you tomorrow, would your family know what to do? Are your loved ones (kids, grandkids, etc.) as good with money as you are? If you don’t know the answers to some of these questions, it’s time to learn more about effective estate planning. Explore our website. Our website is here to be an educational resource to anyone who wants to learn more about effective estate planning. We are passionate about helping people plan because we see the good that can come of it when it’s done properly, and, unfortunately, we see everyday the heartbreak that ineffective (or no) planning can cause. Sign up for our e-newsletter. Our bi-weekly newsletter aims to help people learn more about planning and learn more about Edwards Group. Through this weekly email we share insights and stories about proper planning and why it’s so important. We also know that trust is vital in forming a strong relationship with our clients, so we help people get to know us by sharing things like vacation pics from David’s latest family trip. Attend a free workshop. Education is a core foundation of Edwards Group, so in addition to our website and e-newsletter, attending a free workshop is another great way to learn more about effective planning. Our current workshop is Aging With Confidence: 9 Keys to Wise Planning & Peace of Mind. Get started today. If you’re ready to jump right in and get started, all you have to do is call us and schedule an Initial Meeting with an attorney. At the Initial Meeting, we will review your concerns and goals, then the attorney will help you understand the unique risks facing your family. Call 217-726-9200 and one of our team members will happy to help you get started. Hope things will just work out. This is, frankly, the easiest thing to do, and sadly, the worst thing you can do for your family. Estate plans aren’t really about you and what happens when you die. They are about what type of life your family will have after you’re gone. Procrastination is the greatest threat to protecting your family. We have designed our process to make it as easy as possible for people to take the next step, but we can’t pick up the phone for you… If the unthinkable happens, will your lack of planning make things harder on your family? As always, we’re just a phone call away. If you’re unsure of what your next step should be, or even if you need a next step, we’d be happy to chat with you on the phone. Just give us a call at 217-726-9200. We are passionate about helping families just like yours, and it is all we do everyday. Season Tickets and Estate Planning: When Is It Time to Reevaluate? 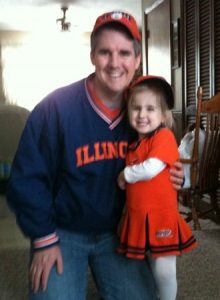 The email from the University of Illinois said, “We still have not received your payment to renew your 2012-13 Men’s Basketball season tickets.” But that still didn’t change our decision. I always had season tickets during college and most of law school. And after a bit of a break, started them again in 2003. But, as life unfolds, situations change and priorities change. Now with kids, 2 and 5, along with a busy law firm, plus trying to find time for my wife here and there, it just didn’t make sense to continue the tickets. As most of you may have noticed last year, we gave an awful lot of them away just because we couldn’t go to the games. We are here anytime you need a review of your plan. Like I always say, “Estate planning is ALL we do ALL the time!” Give us a call at 217-726-9200 to set up an appointment. http://edwardsgroupllc.com/wp-content/uploads/2014/02/USE-Logo-estate-planning-280x100.png 0 0 David http://edwardsgroupllc.com/wp-content/uploads/2014/02/USE-Logo-estate-planning-280x100.png David2012-11-05 13:49:322012-11-05 13:49:32Season Tickets and Estate Planning: When Is It Time to Reevaluate? Congratulations to the Pecori-Robinson family of Springfield!! They were the lucky winners of the Edwards Group Kids Guardianship Kit drawing for two season passes to Knights Action Park. The dad, Greg, is a member of the Illinois State Police S.W.A.T. team (Yay for our community heroes! ), and mom, Gina, loves staying at home with her two boys Antek, 3, and Niko, 1. The family is very excited to use the passes and spend some quality family time outside this summer. Since downloading the kit, Greg and Gina have talked about guardianship issues together and found the kit very useful in guiding their discussions about the sensitive issues that everyone faces when making such difficult decisions. They especially found that the Child Raising Priorities Checklist, included in the free kit, gave them important information to think about in deciding who could best raise their children should the unthinkable happen. The kit is completely free and provides practical information about the four types of guardianship you should be aware of as a parent, gives guidance through the difficult decision of choosing a permanent guardian and other tips regarding unique situations such as those of divorced parents. There are no strings attached to this offer. It is just great information that can help you make one of the most important decisions you will make as a parent. Don’t put it off any longer! 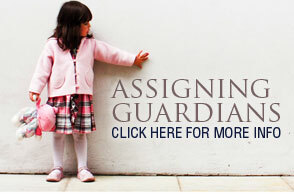 Get started today by downloading the Kids Guardianship Kit! Have you taken steps to protect your kids? The Kids Guardianship Kit is your resource to choose and name guardians for your kids if something happens to you. I know, it’s hard to picture anyone else raising our kids. And hopefully that will never happen. But if it does, you want to be the one in control of the situation. You know best who should raise your kids (and who shouldn’t!). Who is best to finish the job you started as a parent? Don’t leave it to chance or risk family members fighting over who should be guardian. Be clear about your wishes. Download the kit right now by submitting your info below. 1. Types of Guardianship. Do you know the 4 types of guardianship? This 1 page info sheet will explain each of them. 2. How to Choose a Permanent Guardian for Your Child. Tips for tackling this difficult choice. 3. Child Raising Priorities Checklist. Things to think about as you decide who would best raise your kids. 4. Tips and Frequent Questions. What if I am divorced from my child’s parent? And other questions. We will never share your email address with anyone. But, yes, you will receive email updates from time to time from Edwards Group LLC on how to best protect your family. You are free to unsubscribe at any time. Please, not another blog about Michael Jackson! There are 2 kinds of people in the world. Some can’t get enough of the Michael Jackson saga. Others are complaining about how all the real news in the world is being drowned out by old Michael videos and talking heads analyzing his dysfunctional family. If you’re in the 2nd group, my apologies. But below is more great information about Michael and his estate planning. 1. Don’t you want to avoid confusion? With Michael, there was a time period where it wasn’t clear whether he had a Will or not. In fact, his mom went to court and told the judge there was not a Will and asked that she be given power as the administrator. Now things change once the Will is presented to the court. Good planning will avoid this limbo period where people are wondering if there is a Will and where it is. Good planning will make sure that the right people know how to quickly get their hands on legal documents that you have prepared. 2. Who is a good choice as guardian of your kids? Michael’s mom is 79 years old. His youngest child is 7. If I have my math right, she will be 90 years old when he gets out of high school. Is she the best option as guardian? Under Illinois law, do you know who is qualified to raise your kids? Anyone over 18 who is not a felon but is U.S. citizen. So from that pool of people, the judge has to pick someone who is in the best interest of the child. In Illinois, the court will lean strongly toward following the parent’s wishes in naming a guardian, but is not absolutely required to name the guardian you list in your Will. If you properly name a guardian in writing, then your choice has “prima facie” validity. This means that the court presumes that your guardian choice is best, but the court may approve someone else if evidence shows that is better. 3. What about the other parent? The mother of 2 of Michael’s kids, Debbie Rowe, is to have nothing to do with them, according to his family at a press conference. She was not named as a guardian. I am assuming that she gave up all her parental rights because (in Illinois) the other surviving parent will continue to be the child’s guardian, regardless of what the Will said, unless their parental rights had already been terminated. 4. No planning = 18 year old with money. I assume that Michael’s trust provides for his children and gives instructions about how their money will be managed and when and how they can spend it or take control over it. But, if he had no plan or they couldn’t find the documents, then the law (at least in Illinois), is that kids get their money at age 18. Would your 18 year old high school senior be ready to receive your wealth (home, retirement plan, life insurance, etc.)? 5. Don’t be distracted by the big numbers. Don’t get caught in the trap that only rich people like Michael need to do estate planning. We should just call it “planning” and get rid of the term estate. Every person, regardless of their wealth or family situation, should do some kind of planning for when they are disabled or pass away. Good planning to make things easier, better, cheaper, smoother, quicker – for you now and your family later. Even doing nothing is a plan in itself. 6. End up like Elvis? Part 1. Michael was afraid he would end up dying young like Elvis. Hopefully Michael’s estate won’t end up like Elvis. When Elvis died, his estate was worth about $10 million, but by the time expenses, taxes, lawyers, and probate fees were all paid, there was less than $3 million left. 7. End up like Elvis? Part 2. Despite Elvis’ lack of planning for his death, his family has done very well with the family business. A few years ago, the family sold most of their Elvis rights for $100 million. From being worth $3 million to over $100 million in 30 years. Not bad. I say do both – set up good planning that handles your estate properly now, but also sets up your family for greater success later. Elvis’s family overcame bad initial planning to successfully grow the family wealth. Don’t make your family have to overcome that obstacle. http://edwardsgroupllc.com/wp-content/uploads/2014/02/USE-Logo-estate-planning-280x100.png 0 0 David http://edwardsgroupllc.com/wp-content/uploads/2014/02/USE-Logo-estate-planning-280x100.png David2009-07-09 13:34:002009-07-09 13:34:00Please, not another blog about Michael Jackson! 1. Wills are public. Usually, there are many issues that are much more important to your family than keeping your estate matters secret. But at the same time, do you really want people to see your private info? And with increasing online access to court records, it will be easier and easier for your neighbor or nosy relative to look at your Will in court records without leaving home. 2. Living Trusts are private. A living trust is a good way to keep your info private at your death. And that’s exactly what Michael did. Look at his Will. It is what we call a “pour over will”, meaning his will doesn’t have much in it except instructions to dump assets at his death into what they are calling his “Family Trust” (which is private and will stay private). So all the gory details about who gets what and when they get it are only in that private document, incorporated by reference into his Will. And it seems to me that Michael’s Will actually included more info than necessary. For instance, I usually would not put something in the Will about disinheriting anyone (as he did with is ex-wife). That kind of info can go in your trust to keep it all private. 3. Asset titling is key. We haven’t seen how this part plays out yet. Even though Michael had a living trust, if he didn’t properly title his assets in that trust before his death, then the probate court will have to do it using his will. Without assets organized properly, he will lose part of the benefits of the living trust. 4. Feeding frenzy? Michael’s death is a media frenzy, but also a money frenzy too. Friends, relatives, business associates, will all be scrambling to take financial advantage. Those who are controlling his assets will be approached by all kinds of people with all kinds of ideas and schemes, all designed to get some money from the estate. Marlon Brando’s estate attorney said people came “out of the woodwork making all sorts of claims” after Brando died. At your death, who will be in charge of your estate and who will be at risk for being taken advantage of? 5. Personal items are important. There is a court dispute over 2,000 personal items. Michael’s mom has control of them, but the real executors want them back. The judge told them to try to work it out. I have seen a lot of hurt feelings and disputes over personal items, sometimes of small dollar value. But sometimes the items of small dollar value have huge sentimental and emotional value. What have you done to make sure your personal items don’t cause a dispute later? What have you done to preserve the stories behind items of emotional value? 6. We never know when. We look at Michael and figure he was living a life on the edge that could lead to an early death. But the fact is that none of us know when our time is up. One thing about estate planning – you need to do it when you don’t need it, because when you need it, it’s too late to do it. Despite some feeling like the topic has been covered way too well, there is even more we can learn from this situation, including how to choose guardians for your children. Check out Part II of this post here.